Victoria Leenders-Cheng is one of those people. You know the kind; incredibly accomplished, well rounded and, yes, impossibly nice too. And, for the purposes of this article, it’s important to note that she’s smart. Really smart. So smart, in fact, that she’s vying for the title of Canada’s Smartest Person as one of the contestants on the new CBC program of the same name. Victoria Leenders-Cheng is in the running to be crowned Canada’s Smartest Person. Victoria Leenders-Cheng is one of those people. You know the kind; incredibly accomplished, well rounded and, yes, impossibly nice too. And, for the purposes of this article, it’s important to note that she’s smart. Really smart. So smart, in fact, that she’s vying for the title of Canada’s Smartest Person as one of the contestants on the new CBC program of the same name. Following an extensive interview process, Leenders-Cheng was chosen as one of the 32 contestants – a fascinating cross-section of people that includes a law student, a cheese salesman, an Olympic swimmer, a high-school-dropout-turned-radio-personality and a firefighter who moonlights as Canada’s leading poker journalist. 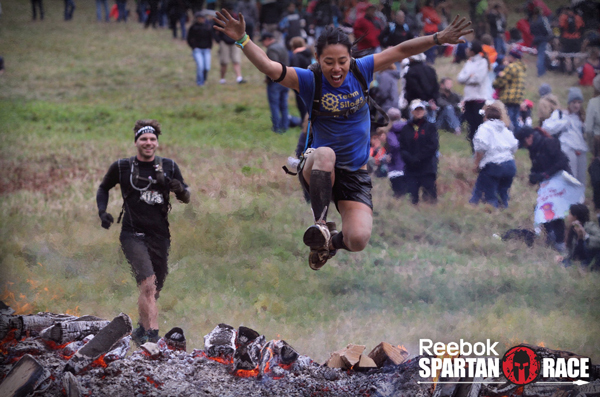 Victoria Leenders-Cheng leaps over a fire pit during a recent Spartan race. No slouch herself, Leenders-Cheng has an MA in English from Western and an MA in journalism from the Harvard Extension School. Classically trained in both piano and violin, she was also a competitive gymnast for eight years and a varsity cheerleader at Western. These days, when the mother of two isn’t competing in Spartan obstacle races, she’s working on her MA in Human Systems Intervention at Concordia. All this on top of her full-time job as a Communications Officer in McGill’s Faculty of Law. Going into the August taping of her segment, Leenders-Cheng hoped her versatility would be an asset. Unlike standard quiz shows, Canada’s Smartest Person tests competitors in six categories of intelligence – musical, physical, social, logical, visual and linguistic. The categories are based upon the Howard Gardner’s Theory of Multiple Intelligences, which contends that people have a variety of intelligences, rather than just one central intelligence. 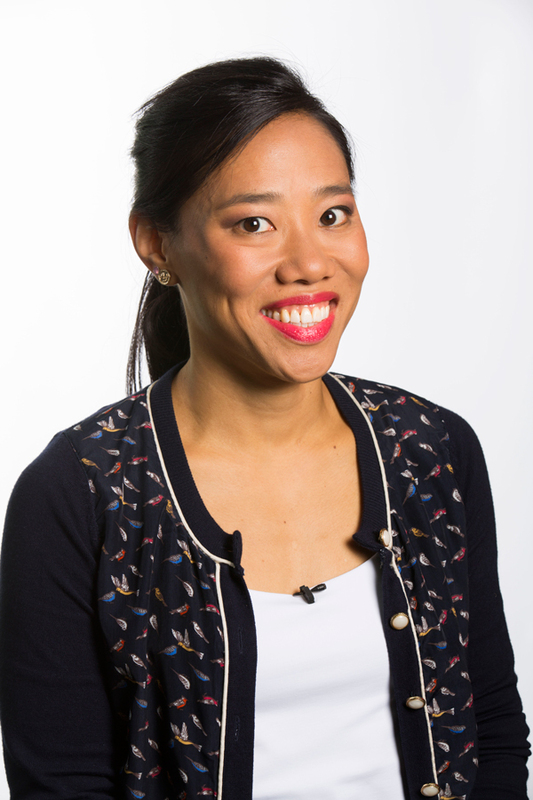 Without letting the cat out of the bag on how she did (the episode airs on Sunday, Oct. 19 at 8 p.m.), Leenders-Cheng says the linguistic intelligence test, which she hoped was going to be one of her strengths, proved to be more challenging than she thought. “I’m good at writing articles and things of that nature, but puns and playing boggle – argh,” she says. “It became a real Achilles heel because these types of witticisms are what they are looking for. “Since taping the show in August, I’ve become a more aware of puns and some of my friends congratulate me when I make one. I guess its baby steps,” she laughs. Be sure to watch Leenders-Cheng try to qualify for the finals in this weekend’s episode on Sunday, Oct. 19 at 8 p.m. Winners of each episode immediately qualify for the finals, which will be aired on Nov. 23. You can check out the show’s website here or on its Facebook page.